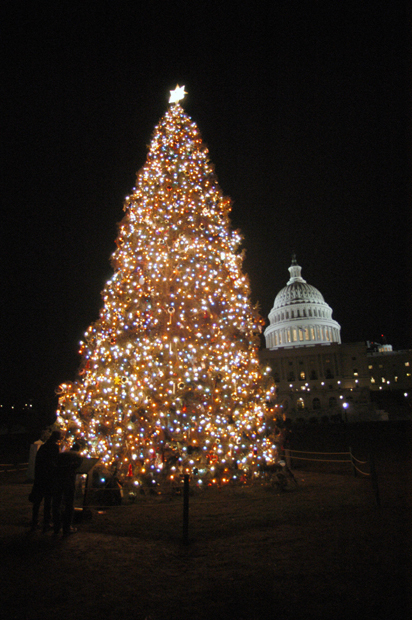 I walked down to see the tree in front of the Capitol today. It has decorations made by children from all fifty states. [I went to my friend Dave's house tonight. He had some friends from Richmond, Va. there. Didn't stay too late, hopefully I'll get back on a normal sleeping pattern.